A multi purpose vacuum pump oil specially blended to provide increased reliability in a wide range of pumps. Suitable for use in total Loss type systems. Formulated with a specific additive package designed to provide emulsification of any free water and gives excellent rust and corrosion protection. 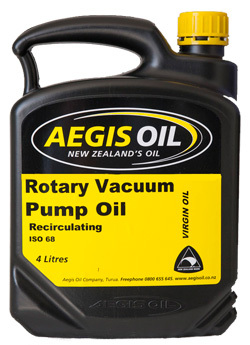 A multi purpose vacuum pump oil specially blended for use in recirculating vacuum pump systems. RVP Recirculating oil is blended to provide increased rust and corrosion protection under the harsher recirculating environment.